For other uses, see Gunpowder Plot (disambiguation). 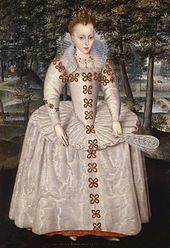 The plan was to blow up the House of Lords during the State Opening of Parliament on 5 November 1605,[a] as the prelude to a popular revolt in the Midlands during which James's nine-year-old daughter, Elizabeth, was to be installed as the Catholic head of state. Catesby may have embarked on the scheme after hopes of securing greater religious tolerance under King James had faded, leaving many English Catholics disappointed. His fellow plotters were John and Christopher Wright, Robert and Thomas Wintour, Thomas Percy, Guy Fawkes, Robert Keyes, Thomas Bates, John Grant, Ambrose Rookwood, Sir Everard Digby and Francis Tresham. Fawkes, who had 10 years of military experience fighting in the Spanish Netherlands in the failed suppression of the Dutch Revolt, was given charge of the explosives. Details of the assassination attempt were allegedly known by the principal Jesuit of England, Father Henry Garnet. Although he was convicted of treason and sentenced to death, doubt has been cast on how much he really knew of the plot. As its existence was revealed to him through confession, Garnet was prevented from informing the authorities by the absolute confidentiality of the confessional. Although anti-Catholic legislation was introduced soon after the plot's discovery, many important and loyal Catholics retained high office during King James's reign. The thwarting of the Gunpowder Plot was commemorated for many years afterwards by special sermons and other public events such as the ringing of church bells, which have evolved into the Bonfire Night of today. Between 1533 and 1540, King Henry VIII took control of the English Church from Rome, the start of several decades of religious tension in England. English Catholics struggled in a society dominated by the newly separate and increasingly Protestant Church of England. Henry's daughter, Queen Elizabeth I, responded to the growing religious divide by introducing the Elizabethan Religious Settlement, which required anyone appointed to a public or church office to swear allegiance to the monarch as head of the Church and state. The penalties for refusal were severe; fines were imposed for recusancy, and repeat offenders risked imprisonment and execution. Catholicism became marginalised, but despite the threat of torture or execution, priests continued to practise their faith in secret. Some exiled Catholics favoured Philip II of Spain's daughter, Isabella, as Elizabeth's successor. More moderate Catholics looked to James's and Elizabeth's cousin Arbella Stuart, a woman thought to have Catholic sympathies. As Elizabeth's health deteriorated, the government detained those they considered to be the "principal papists", and the Privy Council grew so worried that Arbella Stuart was moved closer to London to prevent her from being kidnapped by papists. Despite competing claims to the English throne, the transition of power following Elizabeth's death went smoothly. [c] James's succession was announced by a proclamation from Cecil on 24 March, which was generally celebrated. Leading papists, rather than causing trouble as anticipated, reacted to the news by offering their enthusiastic support for the new monarch. Jesuit priests, whose presence in England was punishable by death, also demonstrated their support for James, who was widely believed to embody "the natural order of things". James ordered a ceasefire in the conflict with Spain, and even though the two countries were still technically at war, King Philip III sent his envoy, Don Juan de Tassis, to congratulate James on his accession. In the following year both countries signed the Treaty of London. For decades, the English had lived under a monarch who refused to provide an heir, but James arrived with a family and a clear line of succession. His wife, Anne of Denmark, was the daughter of a king. Their eldest child, the nine-year-old Henry, was considered a handsome and confident boy, and their two younger children, Elizabeth and Charles, were proof that James was able to provide heirs to continue the Protestant monarchy. James's attitude towards Catholics was more moderate than that of his predecessor, perhaps even tolerant. He promised that he would not "persecute any that will be quiet and give an outward obedience to the law", and believed that exile was a better solution than capital punishment: "I would be glad to have both their heads and their bodies separated from this whole island and transported beyond seas." Some Catholics believed that the martyrdom of James's mother, Mary, Queen of Scots, would encourage James to convert to the Catholic faith, and the Catholic houses of Europe may also have shared that hope. James received an envoy from Albert, ruler of the remaining Catholic territories in the Netherlands after over 30 years of war in the Dutch Revolt by English-supported Protestant rebels. For the Catholic expatriates engaged in that struggle, the restoration by force of a Catholic monarchy was an intriguing possibility, but following the failed Spanish invasion of England in 1588 the papacy had taken a longer-term view on the return of a Catholic monarch to the English throne. During the late 16th century, Catholics made several assassination attempts on Protestant rulers in Europe and in England, including plans to poison Elizabeth I. The Jesuit Juan de Mariana's 1598 On Kings and the Education of Kings explicitly justified the assassination of the French king Henry III—who had been stabbed to death by a Catholic fanatic in 1589—and until the 1620s, some English Catholics believed that regicide was justifiable to remove tyrants from power. Much of the "rather nervous" James's political writing was "concerned with the threat of Catholic assassination and refutation of the [Catholic] argument that 'faith did not need to be kept with heretics'". In the absence of any sign that James would move to end the persecution of Catholics, as some had hoped for, several members of the clergy (including two anti-Jesuit priests) decided to take matters into their own hands. In what became known as the Bye Plot, the priests William Watson and William Clark planned to kidnap James and hold him in the Tower of London until he agreed to be more tolerant towards Catholics. Cecil received news of the plot from several sources, including the Archpriest George Blackwell, who instructed his priests to have no part in any such schemes. At about the same time, Lord Cobham, Lord Grey de Wilton, Griffin Markham and Walter Raleigh hatched what became known as the Main Plot, which involved removing James and his family and supplanting them with Arbella Stuart. Amongst others, they approached Henry IV of France for funding, but were unsuccessful. All those involved in both plots were arrested in July and tried in autumn 1603; Sir George Brooke was executed, but James, keen not to have too bloody a start to his reign, reprieved Cobham, Grey, and Markham while they were at the scaffold. Raleigh, who had watched while his colleagues sweated, and who was due to be executed a few days later, was also pardoned. Arbella Stuart denied any knowledge of the Main Plot. The two priests, condemned by the pope, and "very bloodily handled", were executed. The conspirators' principal aim was to kill King James, but many other important targets would also be present at the State Opening, including the monarch's nearest relatives and members of the Privy Council. The senior judges of the English legal system, most of the Protestant aristocracy, and the bishops of the Church of England would all have attended in their capacity as members of the House of Lords, along with the members of the House of Commons. 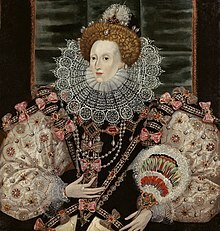 Another important objective was the kidnapping of the King's daughter, Elizabeth. Housed at Coombe Abbey near Coventry, she lived only ten miles north of Warwick—convenient for the plotters, most of whom lived in the Midlands. Once the King and his Parliament were dead, the plotters intended to install Elizabeth on the English throne as a titular Queen. The fate of her brothers, Henry and Charles, would be improvised; their role in state ceremonies was, as yet, uncertain. The plotters planned to use Henry Percy, 9th Earl of Northumberland, as Elizabeth's regent, but most likely never informed him of this. Robert Catesby (1573–1605), a man of "ancient, historic and distinguished lineage", was the inspiration behind the plot. He was described by contemporaries as "a good-looking man, about six feet tall, athletic and a good swordsman". Along with several other conspirators, he took part in the Essex Rebellion in 1601, during which he was wounded and captured. Queen Elizabeth allowed him to escape with his life after fining him 4,000 marks (equivalent to more than £6 million in 2008), after which he sold his estate in Chastleton. [f] In 1603 Catesby helped to organise a mission to the new king of Spain, Philip III, urging Philip to launch an invasion attempt on England, which they assured him would be well supported, particularly by the English Catholics. Thomas Wintour (1571–1606) was chosen as the emissary, but the Spanish king, although sympathetic to the plight of Catholics in England, was intent on making peace with James. Wintour had also attempted to convince the Spanish envoy Don Juan de Tassis that "3,000 Catholics" were ready and waiting to support such an invasion. Concern was voiced by Pope Clement VIII that using violence to achieve a restoration of Catholic power in England would result in the destruction of those that remained. According to contemporary accounts,[g] in February 1604 Catesby invited Thomas Wintour to his house in Lambeth, where they discussed Catesby's plan to re-establish Catholicism in England by blowing up the House of Lords during the State Opening of Parliament. Wintour was known as a competent scholar, able to speak several languages, and he had fought with the English army in the Netherlands. His uncle, Francis Ingleby, had been executed for being a Catholic priest in 1586, and Wintour later converted to Catholicism. Also present at the meeting was John Wright, a devout Catholic said to be one of the best swordsmen of his day, and a man who had taken part with Catesby in the Earl of Essex's rebellion three years earlier. Despite his reservations over the possible repercussions should the attempt fail, Wintour agreed to join the conspiracy, perhaps persuaded by Catesby's rhetoric: "Let us give the attempt and where it faileth, pass no further." Wintour travelled to Flanders to enquire about Spanish support. While there he sought out Guy Fawkes (1570–1606), a committed Catholic who had served as a soldier in the Southern Netherlands under the command of William Stanley, and who in 1603 was recommended for a captaincy. Accompanied by John Wright's brother Christopher, Fawkes had also been a member of the 1603 delegation to the Spanish court pleading for an invasion of England. Wintour told Fawkes that "some good frends of his wished his company in Ingland", and that certain gentlemen "were uppon a resolution to doe some whatt in Ingland if the pece with Spain healped us nott". The two men returned to England late in April 1604, telling Catesby that Spanish support was unlikely. Thomas Percy, Catesby's friend and John Wright's brother-in-law, was introduced to the plot several weeks later. Percy had found employment with his kinsman the Earl of Northumberland, and by 1596 was his agent for the family's northern estates. About 1600–1601 he served with his patron in the Low Countries. At some point during Northumberland's command in the Low Countries, Percy became his agent in his communications with James. Percy was reputedly a "serious" character who had converted to the Catholic faith. His early years were, according to a Catholic source, marked by a tendency to rely on "his sword and personal courage". Northumberland, although not a Catholic himself, planned to build a strong relationship with James I in order to better the prospects of English Catholics, and to reduce the family disgrace caused by his separation from his wife Martha Wright, a favourite of Elizabeth I. Thomas Percy's meetings with James seemed to go well. Percy returned with promises of support for the Catholics, and Northumberland believed that James would go so far as to allow Mass in private houses, so as not to cause public offence. Percy, keen to improve his standing, went further, claiming that the future King would guarantee the safety of English Catholics. The conspirators returned to London in October 1604, when Robert Keyes, a "desperate man, ruined and indebted", was admitted to the group. His responsibility was to take charge of Catesby's house in Lambeth, where the gunpowder and other supplies were to be stored. Keyes's family had notable connections; his wife's employer was the Catholic Lord Mordaunt. Tall, with a red beard, he was seen as trustworthy and, like Fawkes, capable of looking after himself. In December[h] Catesby recruited his servant, Thomas Bates, into the plot, after the latter accidentally became aware of it. By the time the plotters reconvened at the start of the old style new year on Lady Day, 25 March, three more had been admitted to their ranks; Robert Wintour, John Grant, and Christopher Wright. The additions of Wintour and Wright were obvious choices. Along with a small fortune, Robert Wintour inherited Huddington Court (a known refuge for priests) near Worcester, and was reputedly a generous and well-liked man. A devout Catholic, he married Gertrude, the daughter of John Talbot of Grafton, a prominent Worcestershire family of recusants. Christopher Wright (1568–1605), John's brother, had also taken part in the Earl of Essex's revolt and had moved his family to Twigmore in Lincolnshire, then known as something of a haven for priests. John Grant was married to Wintour's sister, Dorothy, and was lord of the manor of Norbrook near Stratford-upon-Avon. Reputed to be an intelligent, thoughtful man, he sheltered Catholics at his home at Snitterfield, and was another who had been involved in the Essex revolt of 1601. In addition, 25 March was the day on which the plotters purchased the lease to the undercroft they had supposedly tunnelled near to, owned by John Whynniard. 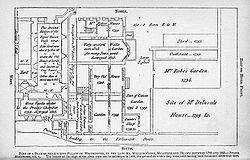 The Palace of Westminster in the early 17th century was a warren of buildings clustered around the medieval chambers, chapels, and halls of the former royal palace that housed both Parliament and the various royal law courts. The old palace was easily accessible; merchants, lawyers, and others lived and worked in the lodgings, shops and taverns within its precincts. 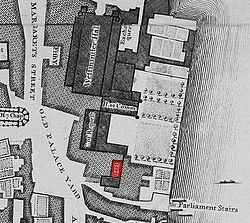 Whynniard's building was along a right-angle to the House of Lords, alongside a passageway called Parliament Place, which itself led to Parliament Stairs and the River Thames. Undercrofts were common features at the time, used to house a variety of materials including food and firewood. Whynniard's undercroft, on the ground floor, was directly beneath the first-floor House of Lords, and may once have been part of the palace's medieval kitchen. Unused and filthy, its location was ideal for what the group planned to do. In the second week of June Catesby met in London the principal Jesuit in England, Father Henry Garnet, and asked him about the morality of entering into an undertaking which might involve the destruction of the innocent, together with the guilty. Garnet answered that such actions could often be excused, but according to his own account later admonished Catesby during a second meeting in July in Essex, showing him a letter from the pope which forbade rebellion. Soon after, the Jesuit priest Oswald Tesimond told Garnet he had taken Catesby's confession,[i] in the course of which he had learnt of the plot. Garnet and Catesby met for a third time on 24 July 1605, at the house of the wealthy catholic Anne Vaux in Enfield Chase. [j] Garnet decided that Tesimond's account had been given under the seal of the confessional, and that canon law therefore forbade him to repeat what he had heard. Without acknowledging that he was aware of the precise nature of the plot, Garnet attempted to dissuade Catesby from his course, to no avail. Garnet wrote to a colleague in Rome, Claudio Acquaviva, expressing his concerns about open rebellion in England. He also told Acquaviva that "there is a risk that some private endeavour may commit treason or use force against the King", and urged the pope to issue a public brief against the use of force. According to Fawkes, 20 barrels of gunpowder were brought in at first, followed by 16 more on 20 July. The supply of gunpowder was theoretically controlled by the government, but it was easily obtained from illicit sources. [k] On 28 July, the ever-present threat of the plague again delayed the opening of Parliament, this time until Tuesday 5 November. Fawkes left the country for a short time. The King, meanwhile, spent much of the summer away from the city, hunting. He stayed wherever was convenient, including on occasion at the houses of prominent Catholics. Garnet, convinced that the threat of an uprising had receded, travelled the country on a pilgrimage. The details of the plot were finalised in October, in a series of taverns across London and Daventry. [m] Fawkes would be left to light the fuse and then escape across the Thames, while simultaneously a revolt in the Midlands would help to ensure the capture of the King's daughter, Elizabeth. Fawkes would leave for the continent, to explain events in England to the European Catholic powers. 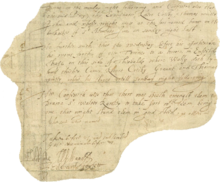 Uncertain of the letter's meaning, Monteagle promptly rode to Whitehall and handed it to Cecil (then Earl of Salisbury). Salisbury informed the Earl of Worcester, considered to have recusant sympathies, and the suspected Catholic Henry Howard, 1st Earl of Northampton, but kept news of the plot from the King, who was busy hunting in Cambridgeshire and not expected back for several days. Monteagle's servant, Thomas Ward, had family connections with the Wright brothers, and sent a message to Catesby about the betrayal. Catesby, who had been due to go hunting with the King, suspected that Tresham was responsible for the letter, and with Thomas Wintour confronted the recently recruited conspirator. Tresham managed to convince the pair that he had not written the letter, but urged them to abandon the plot. Salisbury was already aware of certain stirrings before he received the letter, but did not yet know the exact nature of the plot, or who exactly was involved. He therefore elected to wait, to see how events unfolded. 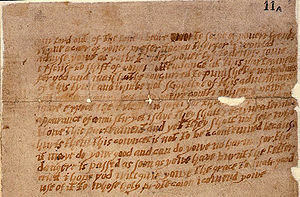 The letter was shown to the King on Friday 1 November following his arrival back in London. Upon reading it, James immediately seized upon the word "blow" and felt that it hinted at "some strategem of fire and powder", perhaps an explosion exceeding in violence the one that killed his father, Lord Darnley, at Kirk o' Field in 1567. Keen not to seem too intriguing, and wanting to allow the King to take the credit for unveiling the conspiracy, Salisbury feigned ignorance. The following day members of the Privy Council visited the King at the Palace of Whitehall and informed him that, based on the information that Salisbury had given them a week earlier, on Monday the Lord Chamberlain Thomas Howard, 1st Earl of Suffolk would undertake a search of the Houses of Parliament, "both above and below". On Sunday 3 November Percy, Catesby and Wintour had a final meeting, where Percy told his colleagues that they should "abide the uttermost triall", and reminded them of their ship waiting at anchor on the Thames. By 4 November Digby was ensconced with a "hunting party" at Dunchurch, ready to abduct Elizabeth. The same day, Percy visited the Earl of Northumberland—who was uninvolved in the conspiracy—to see if he could discern what rumours surrounded the letter to Monteagle. Percy returned to London and assured Wintour, John Wright, and Robert Keyes that they had nothing to be concerned about, and returned to his lodgings on Gray's Inn Road. That same evening Catesby, likely accompanied by John Wright and Bates, set off for the Midlands. Fawkes visited Keyes, and was given a pocket watch left by Percy, to time the fuse, and an hour later Rookwood received several engraved swords from a local cutler. 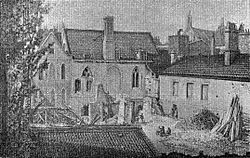 Although two accounts of the number of searches and their timing exist, according to the King's version, the first search of the buildings in and around Parliament was made on Monday 4 November—as the plotters were busy making their final preparations—by Suffolk, Monteagle, and John Whynniard. They found a large pile of firewood in the undercroft beneath the House of Lords, accompanied by what they presumed to be a serving man (Fawkes), who told them that the firewood belonged to his master, Thomas Percy. They left to report their findings, at which time Fawkes also left the building. The mention of Percy's name aroused further suspicion as he was already known to the authorities as a Catholic agitator. The King insisted that a more thorough search be undertaken. Late that night, the search party, headed by Thomas Knyvet, returned to the undercroft. They again found Fawkes, dressed in a cloak and hat, and wearing boots and spurs. He was arrested, whereupon he gave his name as John Johnson. He was carrying a lantern now held in the Ashmolean Museum, Oxford, and a search of his person revealed a pocket watch, several slow matches and touchwood. 36 barrels of gunpowder were discovered hidden under piles of faggots and coal. Fawkes was taken to the King early on the morning of 5 November. In London, news of the plot was spreading, and the authorities set extra guards on the city gates, closed the ports, and protected the house of the Spanish Ambassador, which was surrounded by an angry mob. 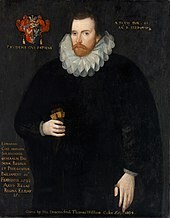 An arrest warrant was issued against Thomas Percy, and his patron, the Earl of Northumberland, was placed under house arrest. In "John Johnson's" initial interrogation he revealed nothing other than the name of his mother, and that he was from Yorkshire. A letter to Guy Fawkes was discovered on his person, but he claimed that name was one of his aliases. Far from denying his intentions, "Johnson" stated that it had been his purpose to destroy the King and Parliament. [o] Nevertheless, he maintained his composure and insisted that he had acted alone. His unwillingness to yield so impressed the King that he described him as possessing "a Roman resolution". On 6 November, the Lord Chief Justice, Sir John Popham (a man with a deep-seated hatred of Catholics) questioned Rookwood's servants. By the evening he had learned the names of several of those involved in the conspiracy: Catesby, Rookwood, Keyes, Wynter [sic], John and Christopher Wright, and Grant. 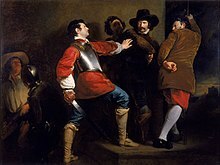 "Johnson" meanwhile persisted with his story, and along with the gunpowder he was found with,[p] was moved to the Tower of London, where the King had decided that "Johnson" would be tortured. The use of torture was forbidden, except by royal prerogative or a body such as the Privy Council or Star Chamber. In a letter of 6 November James wrote: "The gentler tortours [tortures] are to be first used unto him, et sic per gradus ad ima tenditur [and thus by steps extended to the bottom depths], and so God speed your good work." "Johnson" may have been placed in manacles and hung from the wall, but he was almost certainly subjected to the horrors of the rack. On 7 November his resolve was broken; he confessed late that day, and again over the following two days. On 6 November, with Fawkes maintaining his silence, the fugitives raided Warwick Castle for supplies and continued to Norbrook to collect weapons. From there they continued their journey to Huddington. Bates left the group and travelled to Coughton Court to deliver a letter from Catesby, to Father Garnet and the other priests, informing them of what had transpired, and asking for their help in raising an army. Garnet replied by begging Catesby and his followers to stop their "wicked actions", before himself fleeing. Several priests set out for Warwick, worried about the fate of their colleagues. They were caught, and then imprisoned in London. Catesby and the others arrived at Huddington early in the afternoon, and were met by Thomas Wintour. They received practically no support or sympathy from those they met, including family members, who were terrified at the prospect of being associated with treason. They continued on to Holbeche House on the border of Staffordshire, the home of Stephen Littleton, a member of their ever-decreasing band of followers. Whilst there Stephen Littleton and Thomas Wintour went to 'Pepperhill', the Shropshire residence of Sir John Talbot to gain support but to no avail. Tired and desperate, they spread out some of the now-soaked gunpowder in front of the fire, to dry out. Although gunpowder does not explode unless physically contained, a spark from the fire landed on the powder and the resultant flames engulfed Catesby, Rookwood, Grant, and a man named Morgan (a member of the hunting party). Bates and Keyes were captured shortly after Holbeche House was taken. Digby, who had intended to give himself up, was caught by a small group of pursuers. Tresham was arrested on 12 November, and taken to the Tower three days later. Montague, Mordaunt, and Stourton (Tresham's brother-in-law) were also imprisoned in the Tower. The Earl of Northumberland joined them on 27 November. Meanwhile the government used the revelation of the plot to accelerate its persecution of Catholics. The home of Anne Vaux at Enfield Chase was searched, revealing the presence of trap doors and hidden passages. A terrified servant then revealed that Garnet, who had often stayed at the house, had recently given a Mass there. Father John Gerard was secreted at the home of Elizabeth Vaux, in Harrowden. Vaux was taken to London for interrogation. There she was resolute; she had never been aware that Gerard was a priest, she had presumed he was a "Catholic gentleman", and she did not know of his whereabouts. The homes of the conspirators were searched, and looted; Mary Digby's household was ransacked, and she was made destitute. Some time before the end of November, Garnet moved to Hindlip Hall near Worcester, the home of the Habingtons, where he wrote a letter to the Privy Council protesting his innocence. 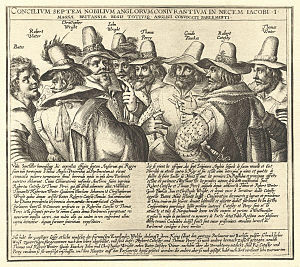 The foiling of the Gunpowder Plot initiated a wave of national relief at the delivery of the King and his sons, and inspired in the ensuing parliament a mood of loyalty and goodwill, which Salisbury astutely exploited to extract higher subsidies for the King than any (bar one) granted in Elizabeth I's reign. Walter Raleigh, who was languishing in the Tower owing to his involvement in the Main Plot, and whose wife was a first cousin of Lady Catesby, declared he had had no knowledge of the conspiracy. The Bishop of Rochester gave a sermon at St. Paul's Cross, in which he condemned the plot. In his speech to both Houses on 9 November, James expounded on two emerging preoccupations of his monarchy: the divine right of kings and the Catholic question. He insisted that the plot had been the work of only a few Catholics, not of the English Catholics as a whole,[q] and he reminded the assembly to rejoice at his survival, since kings were divinely appointed and he owed his escape to a miracle. Salisbury wrote to his English ambassadors abroad, informing them of what had occurred, and also reminding them that the King bore no ill will to his Catholic neighbours. The foreign powers largely distanced themselves from the plotters, calling them atheists and Protestant heretics. Henry Percy, Earl of Northumberland, was in a difficult position. His midday dinner with Thomas Percy on 4 November was damning evidence against him, and after Thomas Percy's death there was nobody who could either implicate him or clear him. The Privy Council suspected that Northumberland would have been Princess Elizabeth's protector had the plot succeeded, but there was insufficient evidence to convict him. Northumberland remained in the Tower and on 27 June 1606 was finally charged with contempt. He was stripped of all public offices, fined £30,000 (about £6.5 million in 2019), and kept in the Tower until June 1621. The Lords Mordaunt and Stourton were tried in the Star Chamber. They were condemned to imprisonment in the Tower, where they remained until 1608, when they were transferred to the Fleet Prison. Both were also given significant fines. Several other people not involved in the conspiracy, but known or related to the conspirators, were also questioned. Northumberland's brothers, Sir Allen and Sir Josceline, were arrested. Anthony-Maria Browne, 2nd Viscount Montagu had employed Fawkes at an early age, and had also met Catesby on 29 October, and was therefore of interest; he was released several months later. Agnes Wenman was from a Catholic family, and related to Elizabeth Vaux. [r] She was examined twice but the charges against her were eventually dropped. Percy's secretary and later the controller of Northumberland's household, Dudley Carleton, had leased the vault where the gunpowder was stored, and consequently he was imprisoned in the Tower. Salisbury believed his story, and authorised his release. Garnet may have been questioned on as many as 23 occasions. His response to the threat of the rack was "Minare ista pueris [Threats are only for boys]",[s] and he denied having encouraged Catholics to pray for the success of the "Catholic Cause". His interrogators resorted to the forgery of correspondence between Garnet and other Catholics, but to no avail. His jailers then allowed him to talk with another priest in a neighbouring cell, with eavesdroppers listening to every word. Eventually Garnet let slip a crucial piece of information, that there was only one man who could testify that he had any knowledge of the plot. Under torture Garnet admitted that he had heard of the plot from fellow Jesuit Oswald Tesimond, who had learnt of it in confession from Catesby. Garnet was charged with high treason and tried in the Guildhall on 28 March, in a trial lasting from 8 am until 7 pm. According to Coke, Garnet instigated the plot: "[Garnet] hath many gifts and endowments of nature, by art learned, a good linguist and, by profession, a Jesuit and a Superior as indeed he is Superior to all his predecessors in devilish treason, a Doctor of Dissimulation, Deposing of Princes, Disposing of Kingdoms, Daunting and deterring of subjects, and Destruction." Garnet refuted all the charges against him, and explained the Catholic position on such matters, but he was nevertheless found guilty and sentenced to death. 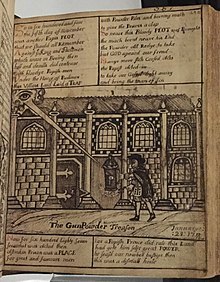 "The Gunpowder Treason" in a Protestant Bible of the 18th century. Greater freedom for Roman Catholics to worship as they chose seemed unlikely in 1604, but the discovery of such a wide-ranging conspiracy, the capture of those involved, and the subsequent trials, led Parliament to consider introducing new anti-Catholic legislation. The event also destroyed all hope that the Spanish would ever secure tolerance of the Catholics in England. In the summer of 1606, laws against recusancy were strengthened; the Popish Recusants Act returned England to the Elizabethan system of fines and restrictions, introduced a sacramental test, and an Oath of Allegiance, requiring Catholics to abjure as a "heresy" the doctrine that "princes excommunicated by the Pope could be deposed or assassinated". Catholic Emancipation took another 200 years, but many important and loyal Catholics retained high office during King James I's reign. Although there was no "golden time" of "toleration" of Catholics, which Father Garnet had hoped for, James's reign was nevertheless a period of relative leniency for Catholics, and few were subject to prosecution. According to the biographer Esther Forbes, the Guy Fawkes Day celebration in the pre-revolutionary American colonies was a very popular holiday. In Boston, the revelry on "Pope Night" took on anti-authoritarian overtones, and often became so dangerous that many would not venture out of their homes. ^ Dates are given according to the Julian calendar, which was used in England until 1752. ^ Salisbury wrote to James, "The subject itself is so perilous to touch amongst us as it setteth a mark upon his head forever that hatcheth such a bird". ^ The heir presumptive under the terms of Henry VIII's will, i.e. 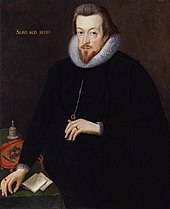 either Edward Seymour, Viscount Beauchamp, or Anne Stanley, Countess of Castlehaven, depending on whether one recognised the legitimacy of the first-mentioned's birth; and the Lady Arbella Stuart on grounds similar to James's own. ^ Historians are divided on when and if Anne converted to Catholicism. "Some time in the 1590s, Anne became a Roman Catholic." "Some time after 1600, but well before March 1603, Queen Anne was received into the Catholic Church in a secret chamber in the royal palace". "... Sir John Lindsay went to Rome in November 1604 and had an audience with the pope at which he revealed that the queen was already a Catholic". "Catholic foreign ambassadors—who would surely have welcomed such a situation—were certain that the Queen was beyond their reach. 'She is a Lutheran', concluded the Venetian envoy Nicolo Molin in 1606." "In 1602 a report appeared, claiming that Anne ... had converted to the Catholic faith some years before. The author, the Scottish Jesuit Robert Abercromby, testified that James had received his wife's desertion with equanimity, commenting, 'Well, wife, if you cannot live without this sort of thing, do your best to keep things as quiet as possible'. Anne would, indeed, keep her religious beliefs as quiet as possible: for the remainder of her life—even after her death—they remained obfuscated." ^ Comparing relative purchasing power of £5,000 in 1605 with 2008. ^ Comparing relative average earnings of £3,000 in 1601 with 2008. ^ Some of the information in these accounts would have been given under pain or threat of torture, and may also have been subject to government interference, and should therefore be viewed with caution. ^ Haynes (2005) writes that Tesimond took Thomas Bates' confession. ^ Anne Vaux was related to Catesby, and to most of the other plotters. Her home was often used to hide priests. ^ Gunpowder could be purchased on the black market from soldiers, militia, merchant vessels, and powdermills. ^ Thomas Tresham had paid Francis's fine in full and part of Catesby's fine. ^ The playwright Ben Jonson was present at one of these parties, and following the discovery of the plot was forced to work hard at distancing himself from the conspirators. ^ Robert Wintour inherited Huddington Court near Worcester, along with a small fortune. The building became a refuge for priests, and secret Masses were often celebrated there. ^ As King James put it, Fawkes intended the destruction "not only ... of my person, nor of my wife and posterity also, but of the whole body of the State in general". ^ The gunpowder was moved to the Tower of London, where it was described as "decayed". ^ James said that it did not follow "that all professing that Romish religion were guilty of the same". ^ Vaux had written a letter to Wenman regarding the marriage of her son Edward Vaux. The letter contained certain phrases which were open to interpretation, and was intercepted by Richard Wenman, who thought it suspicious. ^ Haynes (2005) appears to have misspelt this as Minute ista pueris. ^ Allen, Paul C (2000). Philip III and the Pax Hispanica, 1598–1621: The Failure of Grand Strategy. Yale University Press. p. 154. ISBN 978-0300076820.